Wonder how virulent the anti-Conservative bias and pro-Muslim sentiment is on college campuses? 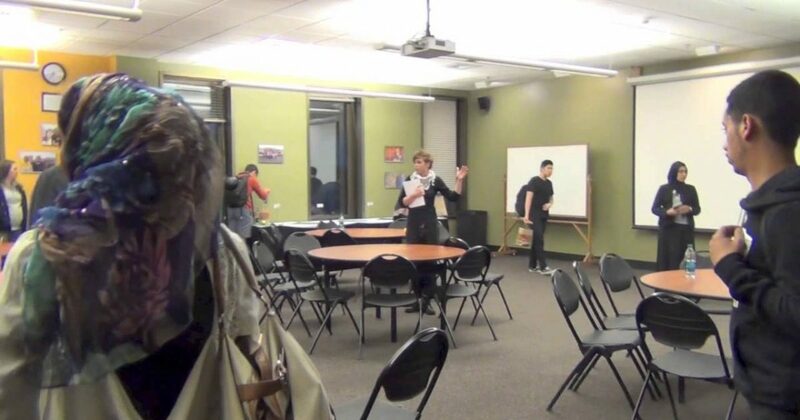 Watch this video of a College Republican event on the campus of Portland State University. This is beyond frightening…and it happened in my city! Americans need to take back education in this country, or all is lost. The Left have increased their influence on generations of young people by holding a monopoly on education: college campuses, for the most part, are the stronghold of Marxist and politically correct ideology, forcibly silencing all opposition.